Today we announced that we’ve raised an additional $25 million in financing. This is the biggest raise to date for TeamSnap and represents a huge vote of confidence from the investor community. However, this vote of confidence wouldn’t exist if it weren’t for the loyalty you, our customers, show us. You are nearly 15 million strong and use TeamSnap to help you enjoy more than 100 different sports in 196 countries. You represent 5,000 TeamSnap for Clubs & Leagues customers and more than 1 million individual teams. The most active of you interacts with TeamSnap more than 40 times per month. Your approval has led to our 4.7 out of 5 rating in the App Store, where it is consistently ranked among the Top 10 Free Sports Apps. You fuel our product developments and our feature decisions, and you make our jobs fun. For all these reasons, we thank you. TeamSnap plans to grow its already world-class team with the new funding. With this funding, we will expand our world-class Marketing, Sales and Product teams to drive even quicker and more robust advancements to our already leading platform. We’ll be working to improve things like in-app messaging and statistics. We will also use a significant part of this funding to redouble our focus on TeamSnap for Clubs & Leagues, making product improvements and reaching new customers. The majority of the $25 million investment comes from Foundry Group Next, which allows the group—one of our earliest investors—to make growth investments in the most successful companies from its early stage funds. The round also includes participation from a new investor, Canada’s Fairfax Financial Holdings Limited, which acquired Research in Motion in 2013. We see interest in the company due to our customers but also because of our team. TeamSnap is a recognized leader in corporate culture because of the company’s enthusiastic employees and focus on customers. Together, we have created a productive, imaginative workplace with very low turnover, as evidenced by our place as No. 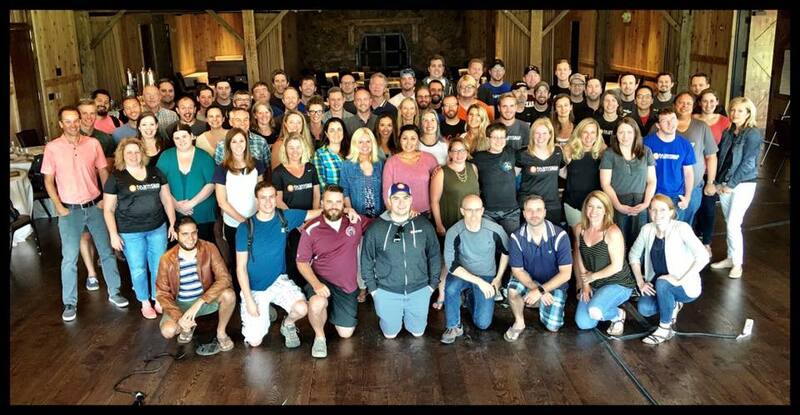 6 in Outside Magazine’s 2016 Best Places to Work. We look forward to working together, with each other and with you, to further TeamSnap’s passionate dedication to simplifying communication and coordination for coaches, administrators, players and families. Dave DuPont is CEO and co-founder of TeamSnap. When not guiding the direction of TeamSnap’s business and helping his rock star staff do their best job, you can find him cycling, skiing, Running with the Bulls or drinking craft beer.